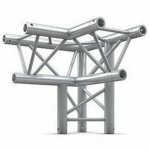 Our range of Truss is extensive from ground support lighting gantries (freestanding from the floor) to a range of Quad, Trio and Duo truss lengths and junctions to make various shapes which can be flown and are ideal for hanging lighting within your venue. 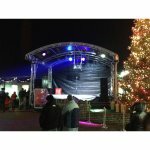 Our outdoor orbital stage is ideal for outdoor concerts, festivals and shows. This simple portable structure is both impressive and practical and provides a simple cost effective solution for your outdoor event.